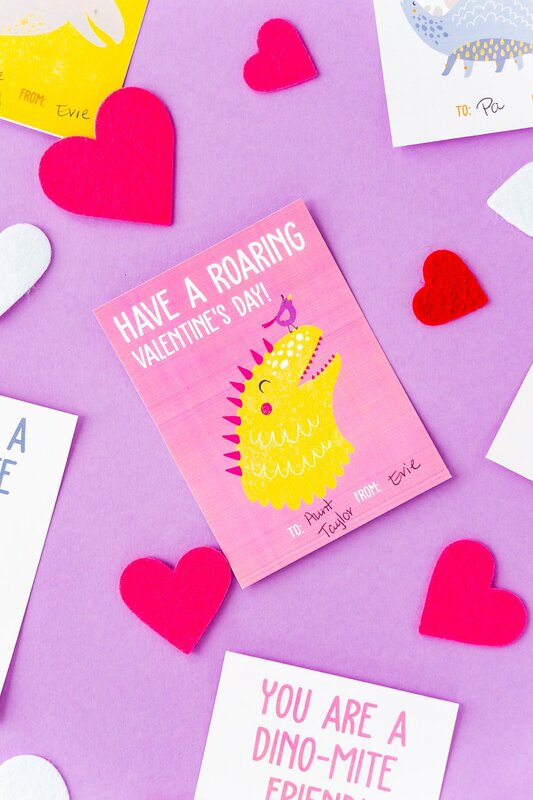 Make Valentine’s Day a breeze with these Printable Dinosaur Valentine Cards with cute sayings your kids will love giving. 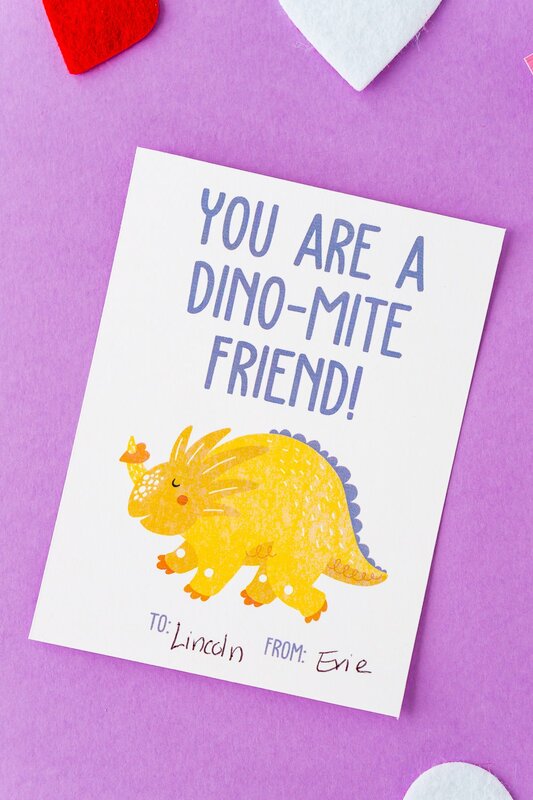 Dinosaur Valentines are the easy, printable cards your kiddos can pass out to their classroom friends! It’s hard to believe that Valentine’s Day is just around the corner. That means stocking up on gifts, cards, and goodies for loved ones. If you’re a parent, this also means getting cards and candy for your kids to bring to their teachers and classmates. 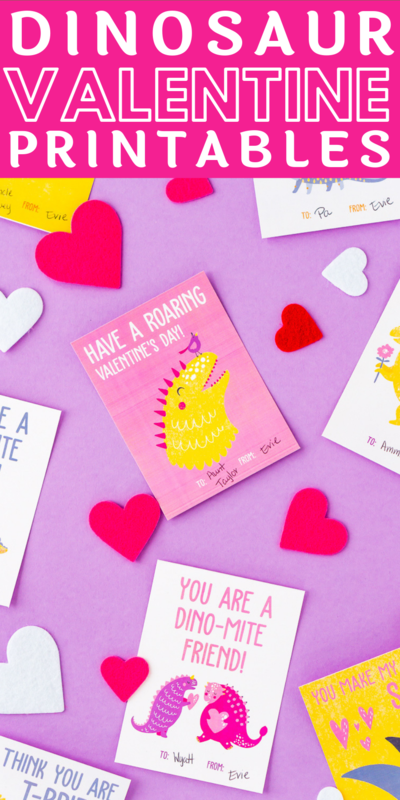 But instead of buying them at the store, why not skip a step with these Free Printable Valentine’s Day Cards?! I mean really, who could resist that?! Remember being a kid and actually being excited to go to school on Valentine’s Day? I used to love getting goodies and nice messages from all my classmates! Printable Valentine’s Make The Holiday Easy! Now that I’m a mom, I get to relive all the childhood magic of all these holidays. Evie won’t be passing out cards anytime soon, of course, but it’ll be fun when the time comes. But when you’re an adult, you realize that store-bought cards can be way overpriced. 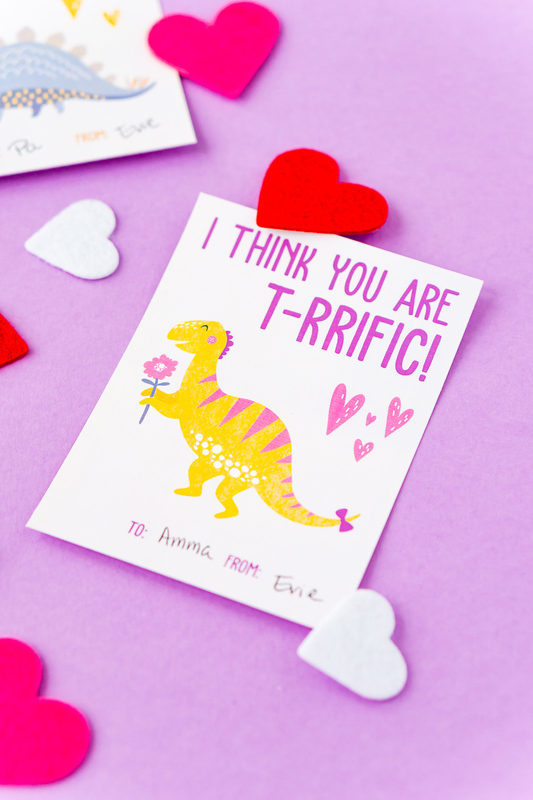 Luckily, Dinosaur Valentine Free Printable Cards will only cost you a few pieces of paper and some ink. 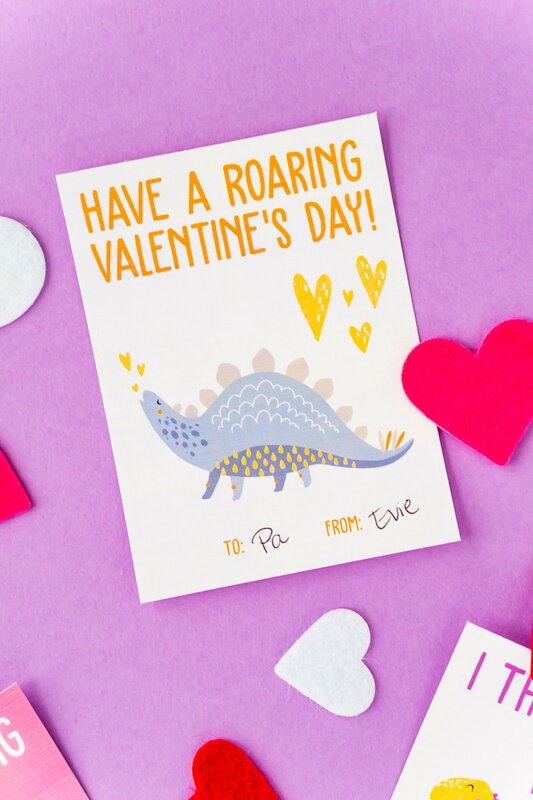 That’s right, these Dinosaur Valentine Cards are adorable, unique, and FREE! Simply download the patterns for your little cupid or cup-ette, then print and cut them out! You and the kiddos can even attach candy to the cards so their friends can have a festive treat. So if you suddenly remember you forgot to get cards at 9:30 the night before V-Day, don’t panic. Just do a quick search for “Valentine’s Day Cards Printable” and press “print”! 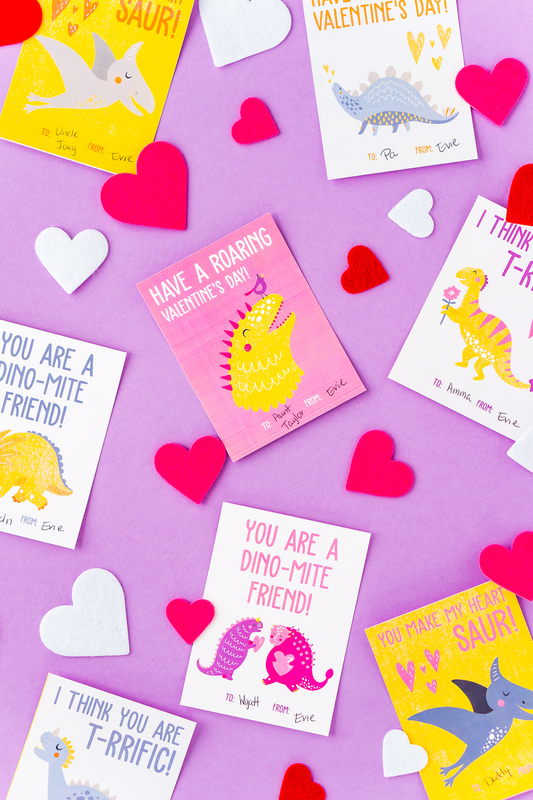 Skip a trip to the store and have your kids pass out these Printable Valentine Cards to all their friends. It’s pretty much a guarantee that no one else will be handing out the same sweet cards! More Fun Valentine’s Day Ideas! Click the button above to print this Free Printable!